I am working now on my myspace page. I must admit that the layout is not good and I should have to learn a little bit more about that. But the main goal is being closer to the bands and get as much info as possible, apart from the free music. I feel that now I will be able to post regularly more news. In fact, this week end I have posted some info about new releases, gigs, etc. Please feel free to become a friend. Here is a little taster just to wet your appetite! Live Album - Out At last! Simply this........have you downloaded it yet? It's free! Go get it, it's on our site and freebies ain't gonna last forever, especially as it seems, according to important people who analyse the economic situation, the deepest recession for 70 years is now over. Err, yea, right. Must be time for a change of Govt. then.......Just be careful what you wish for as dreams turn into nightmares and nightmares do come true, trust me. Another 18 years of Tory Govt...or worse judging by the Euro election results, no thanks. See where we're at by checking our "HEARTS ATTACK" page for upcoming gigs. We're now working on stuff for the end of 2009. Madfiddler is still with us, he has a lovely new fiddle, it sounds great! He also bought a new t-shirt but alas his new trousers have shredded beyond repair for reasons best known to him. If you want to help him out by donating your old camo's please bring them along to our next gig as his wranglers are simply not rock 'n' roll enough for a purple loving hard-drinking eccentric. Note: any leftovers and we'll be holding a bring and buy sale as a support slot. Oh and tell him nicely that pink stickers and gold wheels on a scooby are so last year! Then duck! Oh, and that too much love will kill you everytime. He loves to hug us. Now you don't get that everyday from a fiddle playing bloke! And a top one at that. Meanwhile, Ewan journeyed with us to Vienna for a festival on the Danube which was quite good. We did it acoustically and will be doing some more stuff with him later in the year when we want to chill a bit and hit our folk roots more. Ewan plays mandolin, cittern and acoustic guitar with us. Check out the 'Attack' page. Finally, if you have any ideas to help us increase our exposure, please tell us. We are not talking nakedness in cold weather here but stuff to get people listening to us without resorting to extortion or demanding stuff with menace. Our trips to Germany will hopefully continue but we do have a few UK gigs later this year to balance things out. Let us know if you come across any great venues we could play - here or in Europe?! The following information has been taken from the band's myspace page. "In case you havent noticed already, we have been confirmed to play a Pogues aftershow party at BRIXTON JAMM in december! 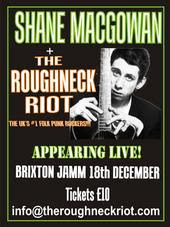 including a performance from no other than SHANE MACGOWAN himself!! tickets for this event are available from us at £10." 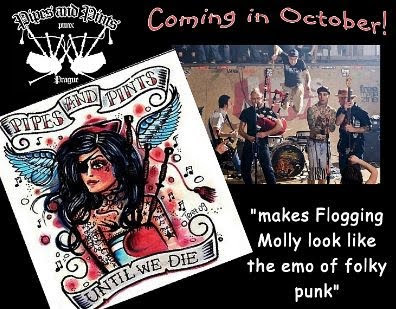 Debut full-length release from Pipes And Pints is due out in October!! Pipes And Pints will be raiding Sweden in early October. 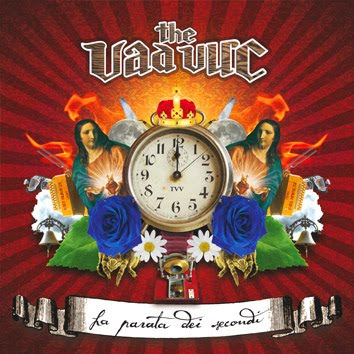 The Swiss band the Vad Vuc are releasing their new album next October 23rd. 14 - "Quasi vell da barch", lyrics by S.Chiesa, music by The Vad Vuc, arranged by Yo Yo Mundi. After having posted the Drovers' debut album, now I am posting a bootleg. (Taken from their website) The Drovers was formed in 1988. After adding and subtracting members over the next two years, the band recorded its first album - "World of Monsters" - with drummer Jackie Moran, guitarist Mike Kirkpatrick, bassist/vocalist David Callahan, floutist/vocalist Kathleen Keane, and fiddler Sean Cleland. Winston Damon (aka Stone Ulele) joined the group late in the recording and can be heard playing percussion on track no. 10. The group toured for the next couple of years with this ensemble, but at last Kathleen decided to part ways and then Jackie excused himself. The group went back to work as a four-piece and produced an EP, titled "Kill Mice Elf." By this time, the band had drawn the attention of director Michael Apted ("Gorillas in the Mist," "Coal Miner's Daughter," "Seven Up") and were cast in the thriller "Blink" (1994 - New Line Cinema) performing as themselves with the addition of the fictional character (played by Madeleine Stowe) around whom the story revolved. A soundtrack recording was released and the band won acclaim for its contributions. The Drovers continued touring and such, then convened in 1995 at the studio of producer Steve Albini to record "Little High Sky Show". This recording featured longtime drummer Paul Bradley, who has since left the group to pursue his internet business. The group also recorded in Minneapolis with Tommy Roberts and with Chicago engineers Bob Weston and Jeff Moleski. 2002 marked the Return of Jackie, and we are extremely excited about this development. Jackie, as you will recall from paragraph one of this piece, was the original Drovers drummer who appears on the cover of World of Monsters. 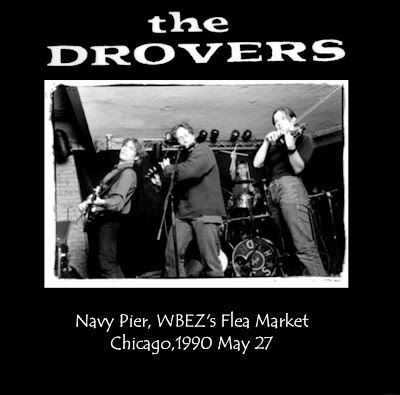 (Taken from Wikipedia) The Drovers were a Chicago rock band whose original songs were influenced by Irish traditional dance music. Founded by traditional fiddler Sean Cleland in 1988, the group recorded four albums and soundtrack music for the motion pictures, Backfraft and Blink. Songwriters Mike Kirkpatrick (guitar) and David Callahan (bass, vocals) drew from Irish rhythms to craft songs that became increasingly psychedelic over a 12-year period until the band ceased performing in September 2002. Kirkpatrick, in particular, created uniquely Irish compositions, often including reels and jigs of his own invention. Callahan's songs, while obviously influenced by Celtic/American folk music, tended toward a less ethnic-sounding psychedelia. The group is remembered for its unpredictable, incendiary live performances as the "house band" at Chicago's Cabaret Metro during the early to mid 1990s. They exported this act and won ardent fan bases in Upstate New York and New York City, the rust belt, and Midwestern college towns from Oberlin, Ohio to Omaha, Nebraska. Even though they gained worldwide exposure through the release of Blink, in which they appear onscreen as themselves, the band toured exclusively in North America. 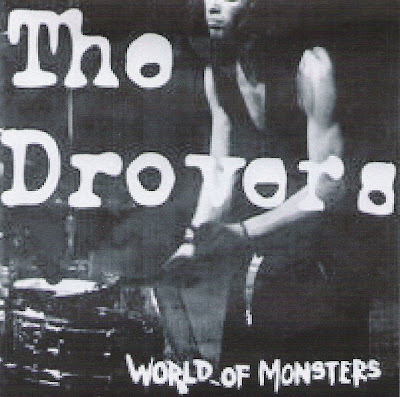 The Drovers' 1991 first studio album, World of Monsters, featured Kathleen Keane on flute, vocals and button accordion and Jackie Moran, in addition to Cleland, Callahan and Kirkpatrick. "Book of Songs" brought the Drovers their first commercial radio exposure. The songs, "Boys and the Babies" and "When Fortune Turns Her Wheel", would later be re-recorded on the Blink soundtrack. The follow-up to Monsters was the 1993 EP Kill Mice Elf, noted for the epic, acid-drenched "She's as Pretty as Brian Jones Was". In 1995, the Drovers were at the top of their game, sharing bills with some of the 1990s' most interesting bands, such as the Coctails , Yo La Tengo, Steve Earle, Ani Di Franco and Poi Dog Pondering. The continuous touring left them little time to record, so when they finally released the Steve Albini-produced Little High Sky Show, the increasing psychedelicization of their sound took many of their fans by surprise. The album fared poorly in sales, compared to World of Monsters and the next five years were spent attempting to record a full-length in their own custom-built studio. The final album was never released but for a limited run they sold only at a few final shows. While never officially dissolving, the Drovers eventually stopped performing and Callahan formed the Stroby Alliance, a band with the Swedish artist, Anna Liljas. Sean Cleland helped start the band Bohola (www.bohola.com) with piano accordion player Jimmy Keane and released four albums on the Shanachie label. He now has a very successul Irish music school in the Chicago area that teaches adults and kids. Kirkpatrick is producing and teaching music. 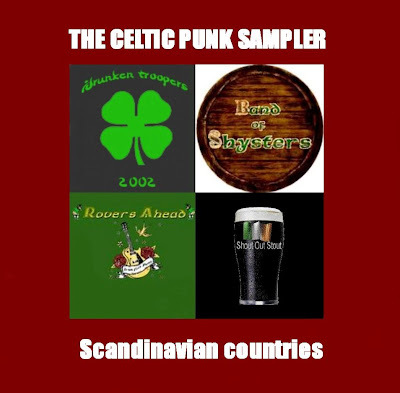 This sampler should have been "Finland", but I only found 3 bands and a few tracks. So finally I added a Danish band and a Swedish band and I changed the name. 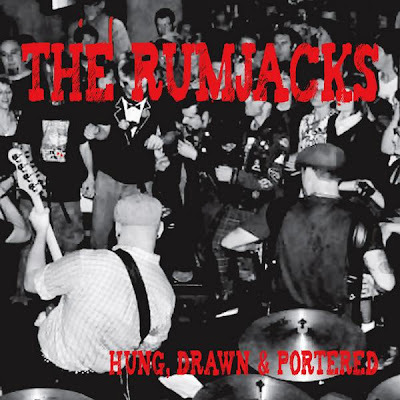 The first band, Drunken Troopers, is a Celtic punk band from Helsinki (Finland). They are 6 members and they intend to release their debut album soon. "It's A Long Way To Tipperary If You Wanna Rock & Roll"
Rovers Ahead are from Copenhaguen (Denmark). The seven musicians play Celtic punk and they have no recordings till now. 07 - Has Anybody Here Seen Hank ? 12 - How Many Songs Till I Get Home ? (Taken from Wikipedia) At the invitation of new member Steve Wickham, Mike Scott moved to Dublin and quickly became influenced by the traditional Irish music there as well as by country and gospel. The band's lineup changed once again with Scott, Wickham and Thistlethwaite now joined by Trevor Hutchinson on bass and Peter McKinney on drums. The new band, which the official Waterboys' website refers to as the "Raggle Taggle band" lineup, spent 1986 and 1987 recording in Dublin and touring the UK, Ireland, Europe and Israel. 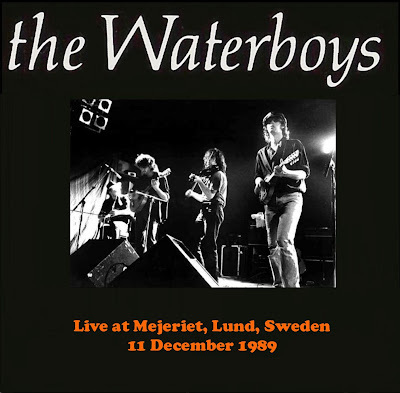 Some of these performances were released in 1998 on The Live Adventures of the Waterboys, including a famous Glastonbury performance in 1986. In 1988 Scott took the band to Spiddal in the west of Ireland where they set up a recording studio in Spiddal House to finish recording their new album. Fisherman's Blues was released in October 1988 and showcased many guest musicians that had played with the band in Dublin and Spiddal. Critics and fans were split between those embracing the new influence of Irish and Scottish folk music and others disappointed after hoping for a continuation of the style of This Is the Sea. World Music: The Rough Guide notes that "some cynics claim that Scotsman Mike Scott gave Irish music back to the Irish... his impact can't be underestimated", but Scott himself explains that it was the Irish tradition that influenced him; "I was in love with Ireland. Every day was a new adventure, it was mythical... Being part of a brotherhood of musicians was a great thing in those days, with all the many musicians of all stripes we befriended in Ireland. I still have that connection to the Irish musicians and tap into it..."
After further touring the band returned to Spiddal in order to record a new album. The Waterboys now consisted of Mike Scott, Steve Wickham, Anthony Thistlethwaite, Colin Blakey on whistle, flute and piano, Sharon Shannon on accordion, Trevor Hutchinson on bass and Noel Bridgeman on drums. Their fifth album, Room to Roam was released in September, 1990. It is from Room to Roam that the "Raggle Taggle band" reference comes from. One of the album's tracks was a recording of the traditional folk ballad "The Raggle Taggle Gypsy". Just before Room to Roam was released Wickham left over a disagreement with Scott and Thistlethwaite regarding the future direction of the band's sound. Scott and Thistlethwaite wanted to move the band back to a more rock and roll style, and Wickham disagreed. His departure started the band's dissolution, and in his wake Shannon and Blakey both left. 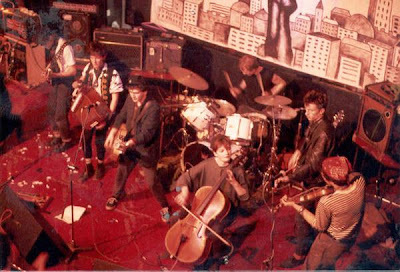 Edinburgh based folk / punk / rock act formed in the mid-1980's, We Free Kings built up a sizeable Scottish following through energetic live dates with acts like The Waterboys. The band released one album ("Hell on Earth and Rosy Cross") and several EPs. Further information about the band (complete biography, full discography, line-up and website) are available at the following link, together with some mp3. 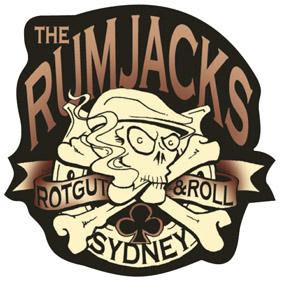 THE RUMJACKS EP IS OUT! The EP is available at Amazon and i-Tunes. Thanks again to Professor Gommel and Will. Junior are a 7 piece Japanese band that has released two albums and some EPs. They are worth hearing. SMZB is a Chinese band from Wuhan, China. 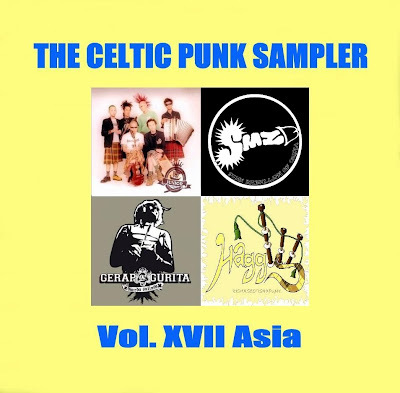 They were a punk band, but in 2006 a piper/flutist joined the band and they became the "Chinese Dropkick Murphys"
Gerap Gurita are from Jakarta, Indonesia. Till now, they have only released one EP.